The silence surrounding Roberts Tower downtown has been rather deafening until today. We still don't have details about the condominiums, but news of the new tenant just surfaced. 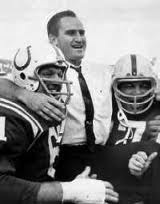 I'm pretty excited, because as a NFL coach, Don Shula was renowned, as a restauranteur, he's been equally successful. At some point, news of a nationwide company choosing to begin its regional presence downtown won't be a big deal. Today its a sign to other entities that our downtown meets the criteria in which a business can thrive, despite an economic downturn. What is really nice, is that soon, like the Terrace View for City Garden, Shula's 347 can serve as a logical destination for residents and tourists enjoying Post Office Plaza. As a huge fan of independent restaurants, news of a chain might seem less important, but having a mix is even better.